WBHRB recruitment 2017 notification has been released on official website www.wbhrb.in for the recruitment of 179 (one hundred and seventy nine) vacancies for Food Safety Officer. Job seekers should apply from 01st December 2017 and before 11th December 2017. 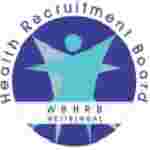 Here on this page you will get the details like the Name of vacancies released by WBHRB with exact number of posts. Some other criteria like Education details, application fee and way to apply application for WBHRB recruitment 2017. Educational Qualification: Degree or Master Degree in relevant discipline. Age Limit: The age of candidate should be between 21 to 36 years as on 01.01.2017. Fee charges: Applicants who wanted to participate for WBHRB should pay the below charges through Bank Counter in any branch of Banks participating in the GRIPS (Govt. Receipt Portal System), Govt. of West Bengal through duplicate challan, as generated after filling up the online application form Govt. Receipt Head of Account is ‘00510010400216’. Interested and eligible aspirants should apply online through the website www.wbhrb.in from 01.12.2017 to 11.12.2017.